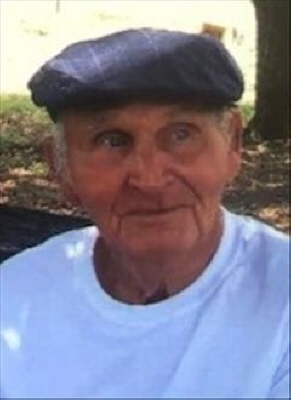 Eugene Michael Patton age 80 passed away in his home on October 25, 2018. He was born in St Louis, Missouri on March 24, 1938. His parents William and Tillie Zartz Patton both preceded Eugene in death. Eugene was a mechanic by trade and enjoyed fishing, working on cars and time with his family. He is survived by the mother of his children: JoAnn Patton of Wewoka. Six sons, Michael Patton of Bowlegs, Randy Patton of Wewoka, Tommy Patton of Oklahoma City, Kevin and Jennifer Patton from Louisiana, Kenny Patton of Oklahoma City, John and Glenda Patton of Cromwell. Three daughters; Linda Patton of Oklahoma City, Teresa Blanton of Praque and Deanna Patton of Chocotah. One Brother, Michael Patton of Wewoka. Graveside services will be held October 29, 2018 at Oakwood Cemetery, 2:00 pm Monday with Father Joseph P. Schwarz officiating. Pallbearers: John Patton, Tommy Patton, Randy Patton, Michael Patton, Kevin Patton and Justin Patton. Honorary Pallbearer will be Kenny Patton. Services are under the direction of Stout-Phillips Funeral Home Wewoka, Oklahoma. To send flowers or a remembrance gift to the family of Eugene Michael Patton, please visit our Tribute Store. "Email Address" would like to share the life celebration of Eugene Michael Patton. Click on the "link" to go to share a favorite memory or leave a condolence message for the family.